"'In ritual,' say the Analects, 'it is harmony with Nature that is prized.' The ancient Jews likewise praise the Law as being 'true.'" 1. 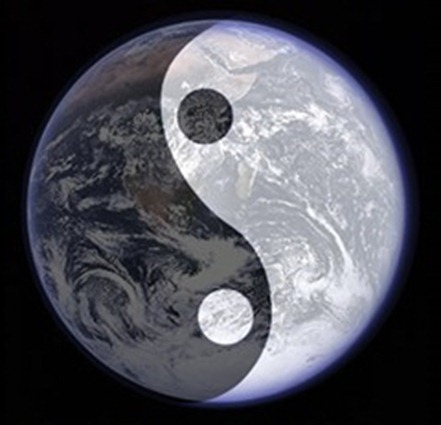 "[the Tao]...is harmony with Nature..."
2. "The ancient Jews likewise praise the Law as being 'true.'" 3. "...the Tao [is]...the abyss that was before the Creator Himself." 1. He heralds the eastern philosophy of being in "harmony with Nature" - a concept bearing little resemblance with Scripture itself (Romans 8:22). 2. He places the divine revelation of God's Law on equal footing with Taoism, Confucianism, and other various philosophies ("The ancient Jews likewise praise the Law as being 'true.'"). 3. Remarkably, he refers to the Tao as that which existed "before the Creator Himself." However, the true Creator is eternal and, therefore, nothing can be before Him. To suggest otherwise is utter blasphemy (Genesis 1:1, John 1:1-3). Any conscientious Christian should be disturbed by such a small sampling as this. The sad reality is that any man who steps away from the foundation of Holy Writ, even a little, stands on sinking sand. In all of this I am reminded of that overly abused adage: all truth is God's truth. While true in a particular sense, this expression is often used in order to formulate a body of "truth" that goes well beyond what God has actually revealed in His Word. 1 Corinthians 2:1-5: 1. And when I came to you, brethren, I did not come with superiority of speech or of wisdom, proclaiming to you the testimony of God. 2. For I determined to know nothing among you except Jesus Christ, and Him crucified. 3. I was with you in weakness and in fear and in much trembling, 4. and my message and my preaching were not in persuasive words of wisdom, but in demonstration of the Spirit and of power, 5. so that your faith would not rest on the wisdom of men, but on the power of God. Lewis' Tao is a disgrace. His failures in The Abolition of Man could have been rectified had he started with the absolute and eternal standard of God's Word from the beginning of his arguments. Had he done this, he would not have been touting the Chinese Tao (or some reconstruction of it), but would have instead heralded a real foundation on which others could truly stand. The Analects [or Lunyu] refers to the collection of writings and sayings of Confucius.